This will be the last Tavern Chat before Christmas. Yes, Santa Tenkar is STILL catching up on OSR Christmas Emails, so if I seem to lose my attention span tonight on occasions, I'm probably working on the emails. 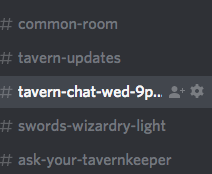 Tavern Chat takes place on The Tavern's Discord Server at 9 PM Eastern and generally lasts until 11 PM and beyond. When you log into the server, you want to go to tavern-chat-wed for the text chat room. 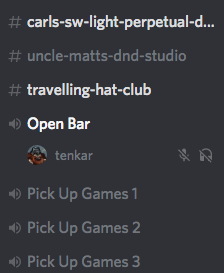 Voice chat is held in the Open Bar. You can and probably should be in both text and voice chat, as the text chat often gets relevant links and images from the voice chat. You don't need to speak in the voice chat if you don't want to. Many do lurk as listeners and that is fine.